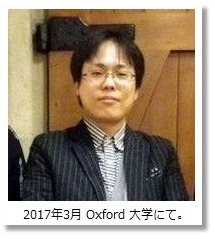 ▲ 2019.03.24 発表： International Workshop on Meta-Science & Technology, "Normative Range Problem on Intergenerational Justice" (discussion with Prof. Konrad Ott), Kobe University, Japan. ▲ 2018.12.16 発表： 11th International Conference on Applied Ethics, "Legal philosophical issues on long-term causation and intergenerational allocation of responsibility," Kyoto University, Japan. ▲ 2018.12.13 発表： 11th East Asian Conference on Philosophy of Law, "Intergenerational Causation and Responsibility," Hong Kong University, China.